It can be a challenge to keep your décor fresh and exciting. 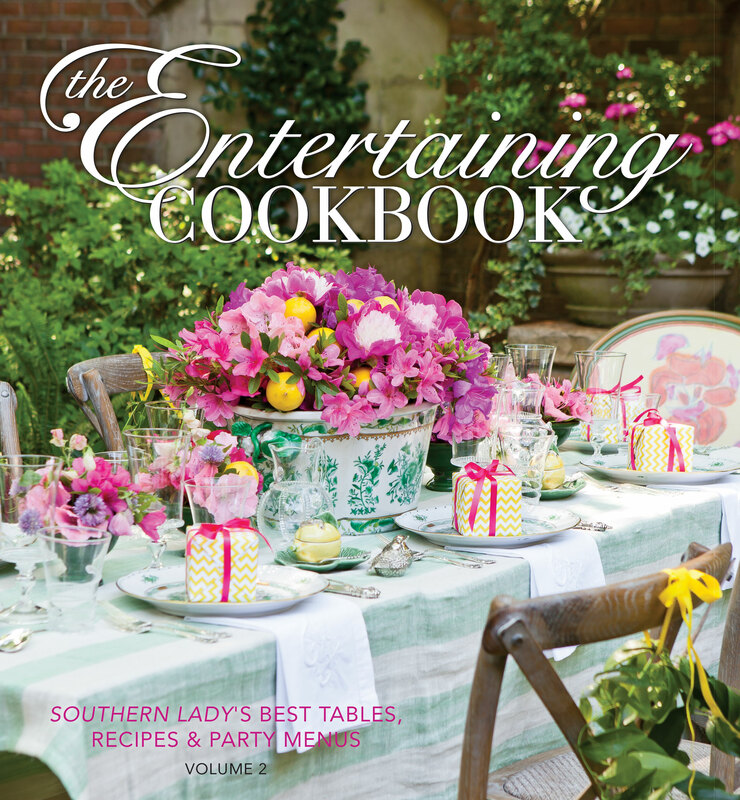 I can easily find myself falling into a rut with decorating, especially when it comes to decorating a tablescape. One way I have found to challenge myself and keep my skills sharp is to repurpose unconventional items as unique centerpieces for my table. Cream pitchers and sugar bowls are pieces that I always have around. 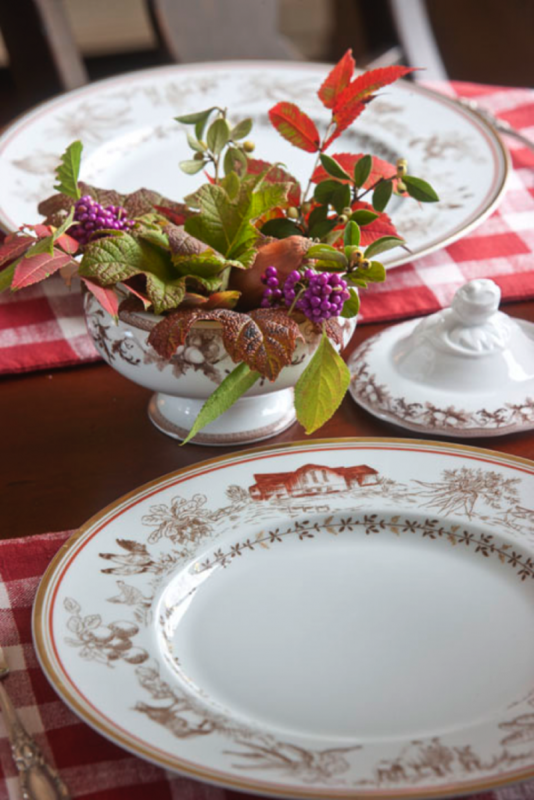 If I’m not serving coffee, then I will use the cream pitcher and sugar bowl from the pattern of dishes that I set the table with as centerpieces. The cream pitcher below has simple roses in it, while the sugar bowl centerpiece came together in less than a minute with greenery that I picked from my yard. 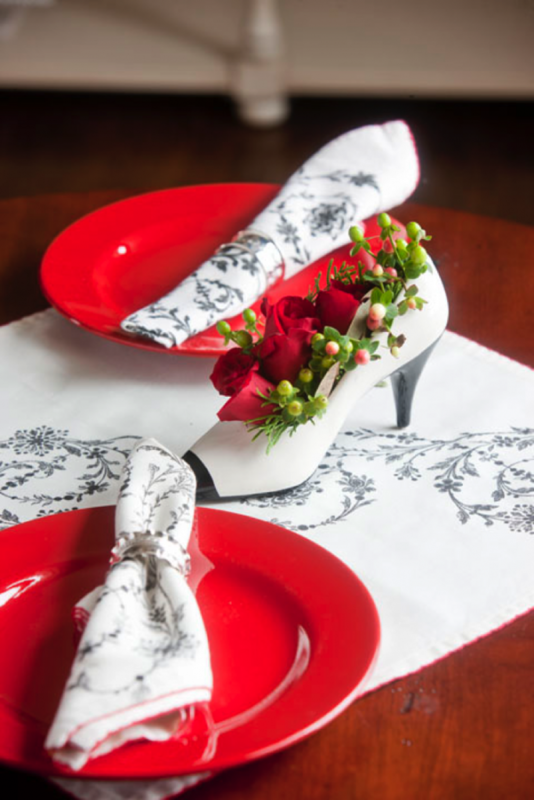 One of my absolute favorite items I have used as a centerpiece is this shoe. High heels and red are two of my signature items. Using the heel as a centerpiece is attention-grabbing without taking up too much space. 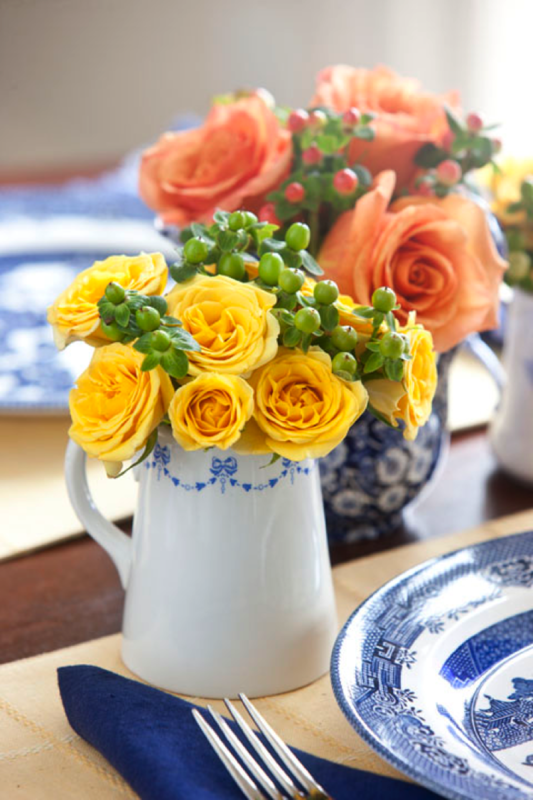 Using unorthodox items for centerpieces is a wonderful way to use items that may be gathering dust in your cabinets. Estate sales and antique shops are places that you can search for unique centerpieces as well. No matter how you end up decorating your table, let your creativity and style shine through. That will make anything beautiful. Do you have any go to unique centerpieces? I enjoy using a silver plate pitcher that is a deep repoussé rose pattern. It was a wonderful find which I’ve had so long that I have no clue where I found it! Thanks for some new and interesting ideas!! For a tea, one time, I used a crystal cake stand with a doily and my mother’s tea set from her childhood. She’s 91 years old and it was a surprise to her to find it there when we arrived at my church! Love the shoe Phyllis!… Great idea! I usually use milk pitchers, but now I will try using tea cups and sugar bowls! These are some really creative ideas. I tend to get in a rut, too, in thinking that the only options are vases and candles. I love using the gift tins that are too pretty orunique to toss after the contents have been eaten or used. We are always receiving some sort of tin at holidays or birthdays so have used them year round for center pieces. I like using small snippets from my citrus trees and herbs for fragrance . Most greens come from my yard. I find myself using mason jars a lot, especially if it is a casual event…I line the table with small ones and insert different herbs in each one or I use a big jar for flowers. (You can find mason jars in different coloured glass now.) If you are serving Italian food, you can use big, empty can of tomatoes, label still on, to hold glowers as well.I used a pretty enamelled colander once for a thanksgiving centrepiece…I filled it with assorted fruits and mini pumpkins. Love the shoe idea! Antique school books intermingled with a hodge podge of candlesticks or freezer burnt coffee beans repurposed for decorating randomly scattered in the table’s center for a natural table scatter are some of my favorite go to centerpieces. Thank you for sharing the high heel. I’m definitely going to be on the lookout for the “perfect” heels to decorate my table with. In the first picture, you have used some plant that has small, round berries (or something). In the front arrangement, they are green, in the back arrangement they are pink. Any idea what this plant is? With flowers, I often use an odd-shaped tea pot (for a low arrangement), or a cut glass water pitcher that was an antique shop find. For added drama, I group various candlesticks – using colored tapers that match the design in my napkins. Curious………..what is the greenery that looks like green grapes at first glance? The greenery with the yellow roses? Very unique!